Munich: Meet Me Wednesday + Berlin: Mark Your Calendar! You'll need to RSVP (RSVP email: press@decor8blog.com) right away though so I can make sure there is space as it's going to be just a little pre-launch event since the official launch party will be in Berlin at Soho House on November 12th and is sponsored primarily by BRIGITTE magazine. I'll be joined by co-sponsors Callwey Verlag, Etsy, Dialogue Books and more! 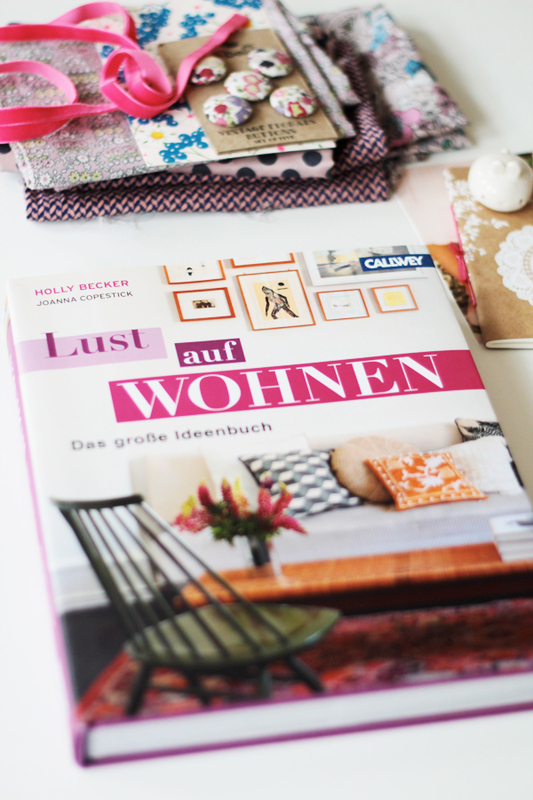 I'll post an announcement detailing the Lust Auf Wohnen Book + Bloggers Party next week on decor8 as you won't want to miss it! Cupcakes, cocktails, goody bags and lectures all about blogging, writing and more from some incredible speakers that we're currently lining up - we'll even have a fun interactive project for everyone to get involved in - can't wait to show you that when you arrive. I'll be hanging in Munich with the lovely Angela at Nostalgie Im Kinderzimmer who thought it may be a nice way to say hello to a few of my friends and readers in Munich this week for a cozy event in her darling shop. I couldn't agree more and I'm really looking forward to it.